When I was the director of public relations at NC Wesleyan College, I also did freelance editing – mostly book manuscripts written by the professors. It was then that I decided to try to write my own book, and I had an idea for a middle grade novel. I gave myself a year to write it and try to find a publisher.Ten months later, I had a publishing contract. I immediately started my second book – another middle grade novel—and continued freelance editing. Eventually I left NC Wesleyan in order to focus on my writing and also work with other writers who were asking me to help them find a publisher. 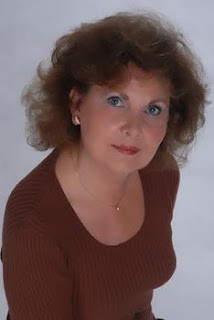 In 1995, I opened the Barbara Casey Agency. By then I had several books, and numerous articles, poems, and short stories published. I had a good feel for the industry and had made a lot of contacts in publishing, so the percentage of placements I was able to make for the authors I represented was quite high and has continued to be over the years. And I have been able to continue with my own writing. With 10 books under your belt, how do you find new, fresh storylines and characters? I think it must have to do with my “ear.” Most writers are observers – they watch and mentally record everything around them. I do that, but I also listen. It isn’t something I do consciously, but invariably I will overhear an unusual phrase, or a particular dialect, and I will start building a character or situation in my mind. I also write poetry, and often a simple line from a poem will trigger all sorts of ideas. Most of your books have been in the fiction category. What led you to write a true life recount of the life of Katherine Kelly? The publisher of my adult novel, The Gospel According to Prissy, as well as some books I had submitted to them on behalf of clients, invited me to write a nonfiction book. It interested me because I had published nonfiction articles, but never a book-length nonfiction work. 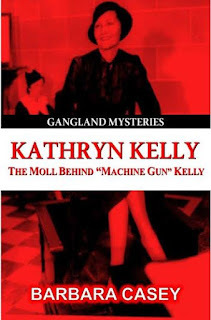 Out of that came Kathryn Kelly: The Moll behind Machine Gun Kelly. The publisher also invited me to become a partner in the company. I feel I have come full circle, and have experienced all of the various aspects in the publishing industry—an industry that I love. Of course, my main passion continues to be writing. In this latest book you choose to offer her story in a journalistic writing style.What was the reason behind this your choice to handle the story this way? Kathryn is such an interesting subject, but one which very little has been written about until my book. Research was difficult, since there are no other books about her. Therefore, I had to depend on old court records, newspaper stories from that time period, interviews with people who are still alive or who had an expert knowledge of that period in time, and the FBI “Vault.” There were a lot of “firsts” involved in her trial, one of which they allowed video cameras into the courtroom; so I was able to actually watch the trial from the old recording. The style of my writing was also dictated somewhat by the other nonfiction books that the publisher has published. Please share something about the difference between approaching writing fiction and writing a true life book. The main difference, of course, is the depth and amount of research required for nonfiction. In my novels, I also do a lot of research because I want everything surrounding my characters to be accurate. But then I can rely on my imagination to carry the storyline. In nonfiction, nothing is made up or left to the imagination. I did all of my research before I even started writing the book. When I write my novels, I usually know how I want to start the story and how I want to end it. I also have a few guideposts stuck in the middle that I aim for. But other than that, my books tend to be character-driven and I am just the instrument in recording it. I truly enjoy the journey; sitting down each morning and seeing how the story is going to develop. I get involved with my characters to the point that they live with me – their problems and joys become my problems and joys. I am working on the third book in a young adult mystery series right now – The F.I.G. Mystery Series. Even though it is the third book, I still go back to the first and second books in the series and cry over things that happened to the three orphaned girls who are all geniuses. The chore comes in with marketing after the book is published. I know it is all part of being a writer—the book signings and speaking engagements and interviews—but I have so little free time that it does become a chore. You also represent other authors and are a partner in Strategic Media Books. How has seeing the industry from both sides affected you as a writer? I’m not sure it has changed me one way or the other as a writer. I have my own style of writing and that won’t change. I don’t believe in trying to follow trends or mimicking other writers. It does give me an advantage, however, in helping the writers I work with. By being involved in the industry in so many areas, I pretty much know the problems and pitfalls and can help navigate my clients through those things. What would you most like readers to know about you. I would say this only to encourage other writers: I am a very private person, but have worked hard to reach the level of success I have. Even though getting published is wonderful, and I always feel the exhilaration that comes with a new publishing contract, and I feel so honored—and humble--when someone likes one of my books, for me it is that journey we talked about previously. If you start with the passion for writing, everything else will eventually fall into place.